Swindon have been fined £1,000 by the Football Association and "severely warned" about their future conduct over the signing of Jermaine Hylton. The League One side admitted they approached the player before informing his club, Redditch United. Although Hylton was not under contract they are still required by the rules to give seven days' notice of an approach. 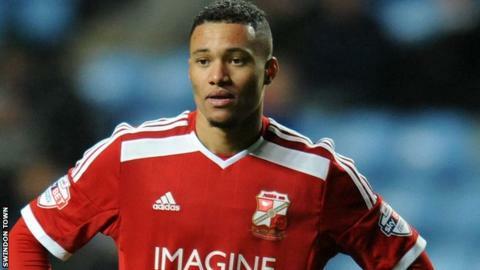 The 22-year-old signed for Swindon on a free transfer in January from the Southern League club. Swindon Town manager Mark Cooper says he was "disappointed" with the situation. "I think it's a bit disappointing Redditch wanted to go down that route," Cooper told BBC Wiltshire. "If the player was that valuable to them they would have put him on a contract and they didn't do that. "It's a slap on the wrist for us, and we'll take it on the chin."